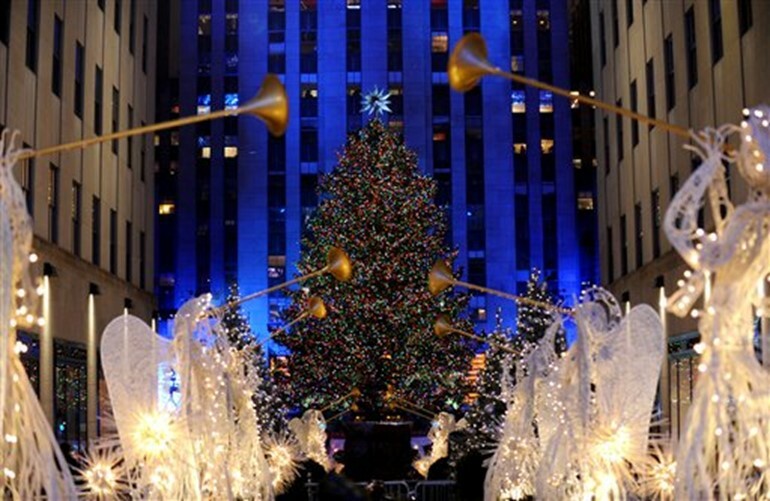 How Much Does The 2015 Rockefeller Center Christmas Tree Cost? 45,000 multi-coloured energy efficient lights adorn the tree. These cost around $13,500. A computer program that took three months to build powers the software that adds the beautiful shimmering glow to the tree. Solar panels power the lights helping offset upkeep costs. A Swarovski star with 25,000 crystals tops the tree and is estimated to be worth $35,000. The tree itself is 78 feet tall. Such trees usually cost around $25,000 but the Rockefeller Center always gets it as a free donation. This year it was donated by a family that has taken care of it for 80 years but recently decided it was getting too big for their property. The family that donates the tree gets front row VIP tickets to the tree lighting and other ceremonies. After the tree gets taken down it is turned into wood that is used to build houses for low income people. Read more secrets about the tree here. And see our past coverage here.